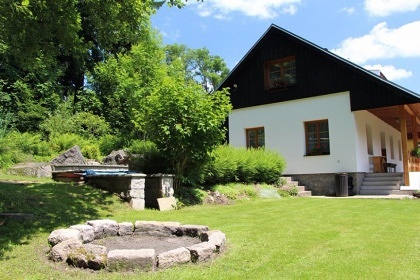 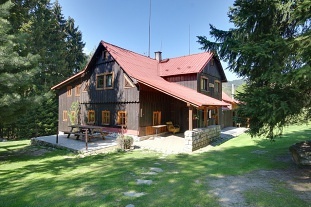 Cottage Elisabeth - Great Semerink - Jizera Mountains. 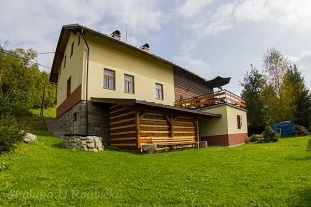 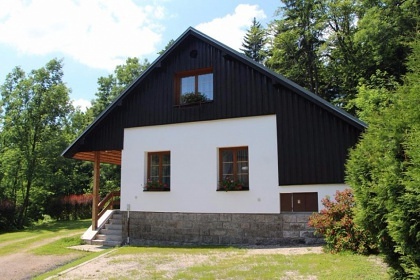 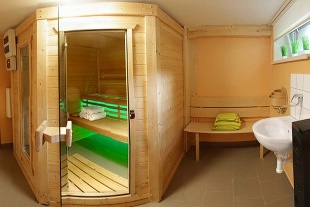 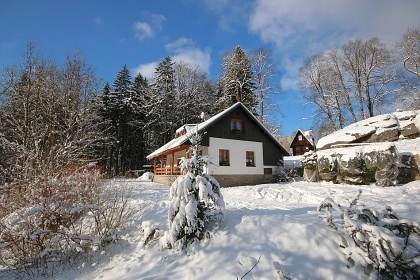 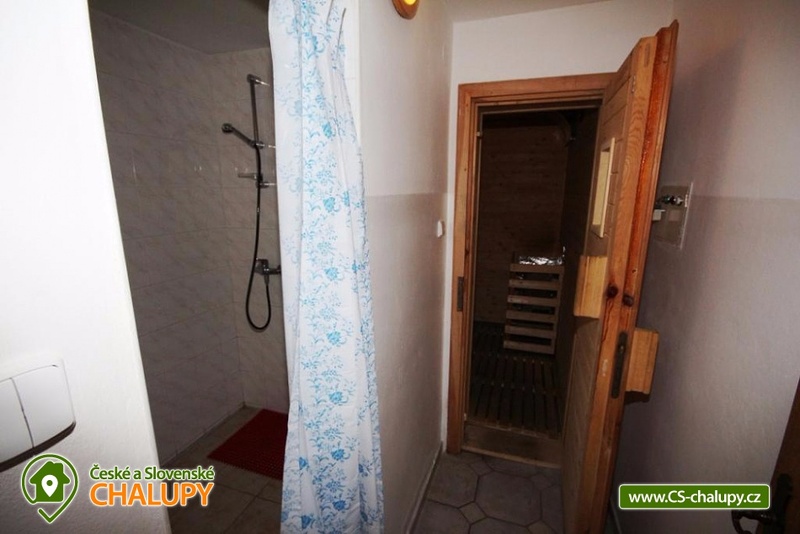 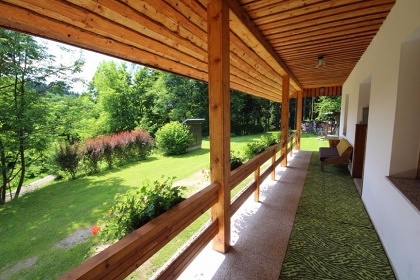 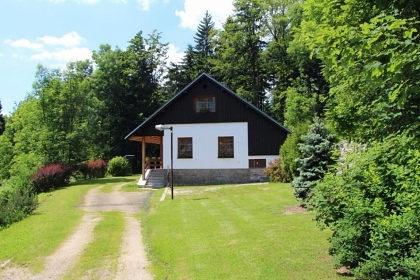 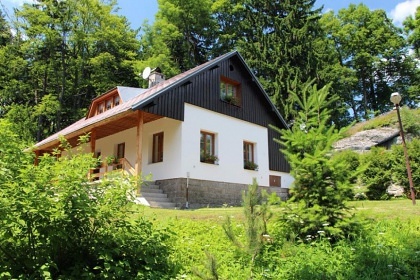 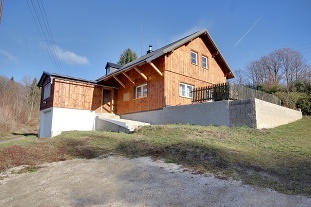 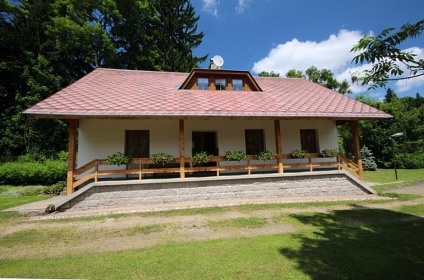 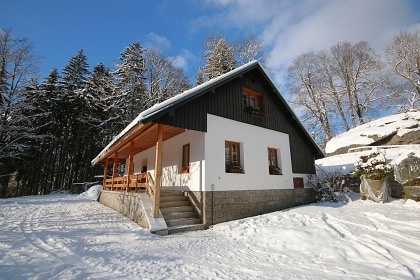 Rent cottages with sauna Janov nad Nisou - Jizera Mountains. 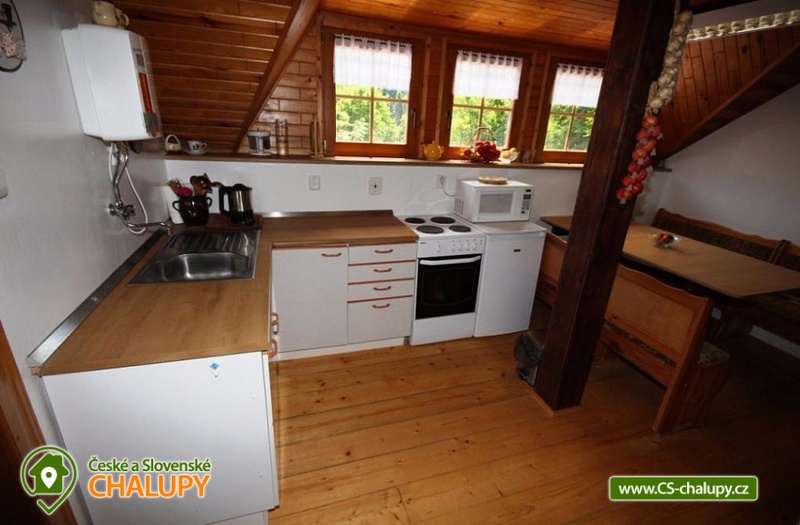 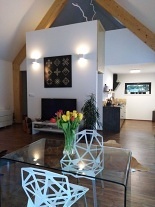 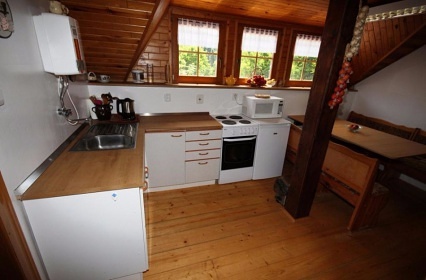 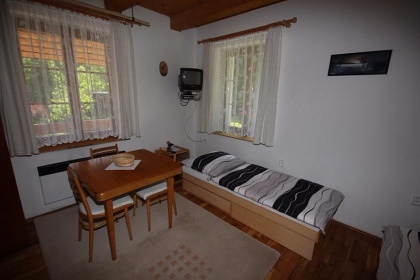 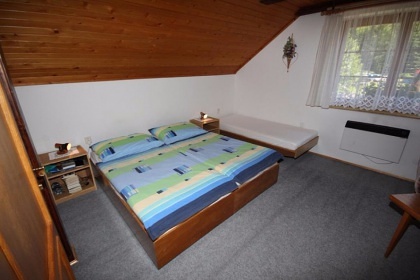 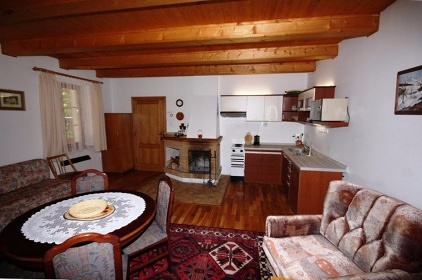 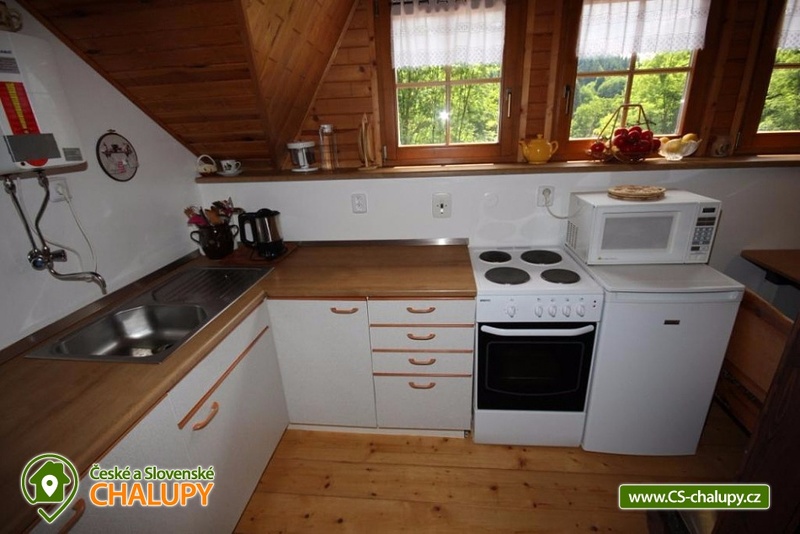 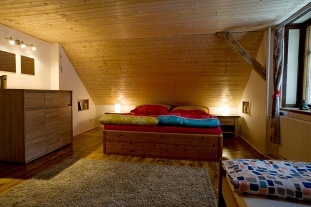 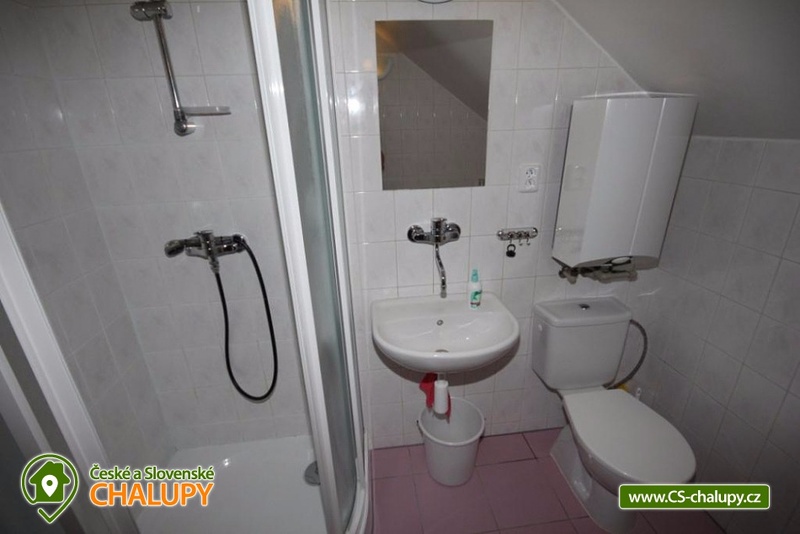 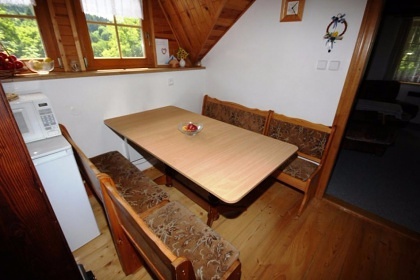 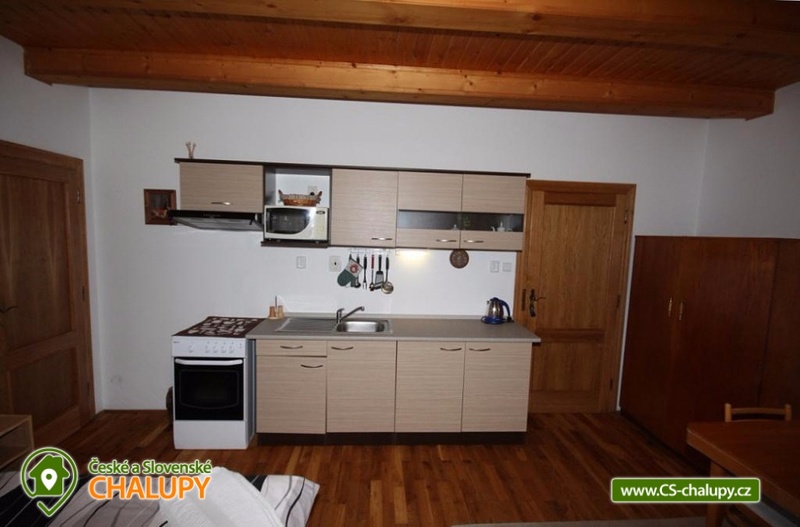 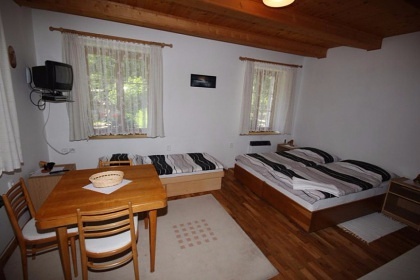 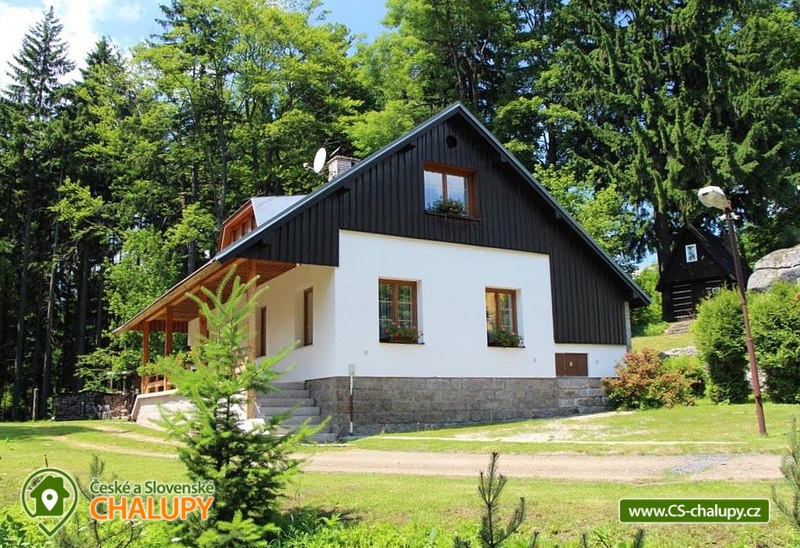 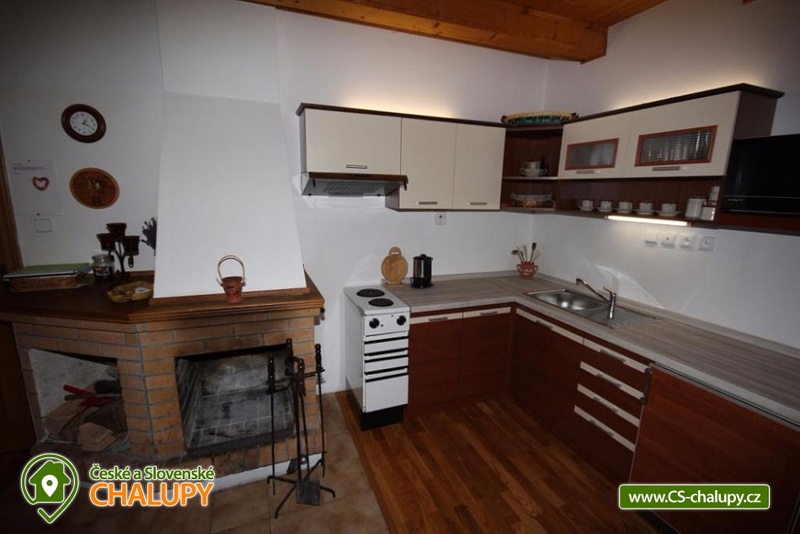 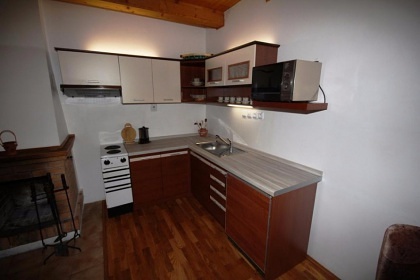 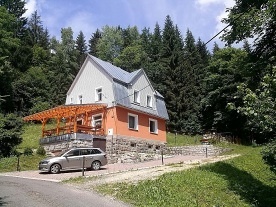 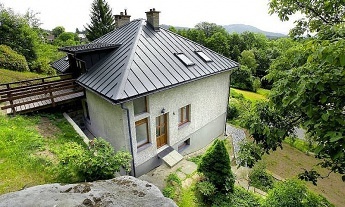 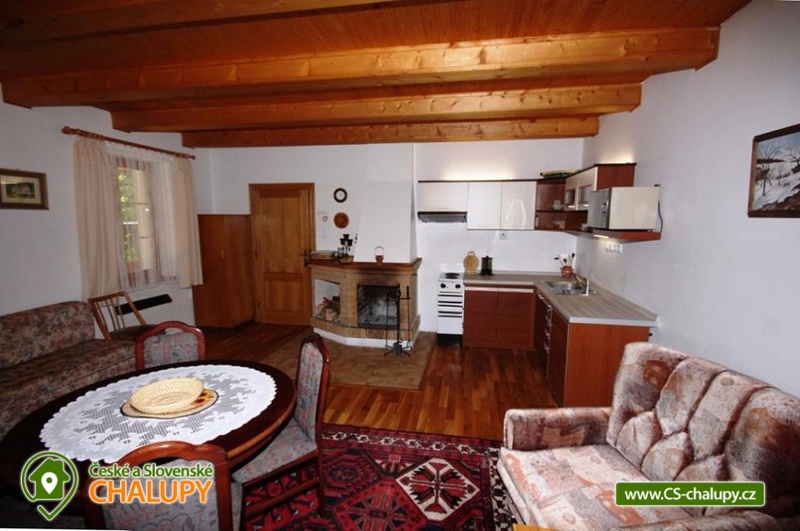 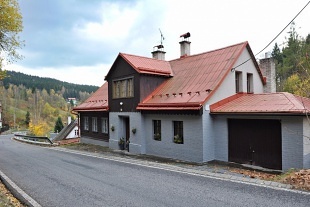 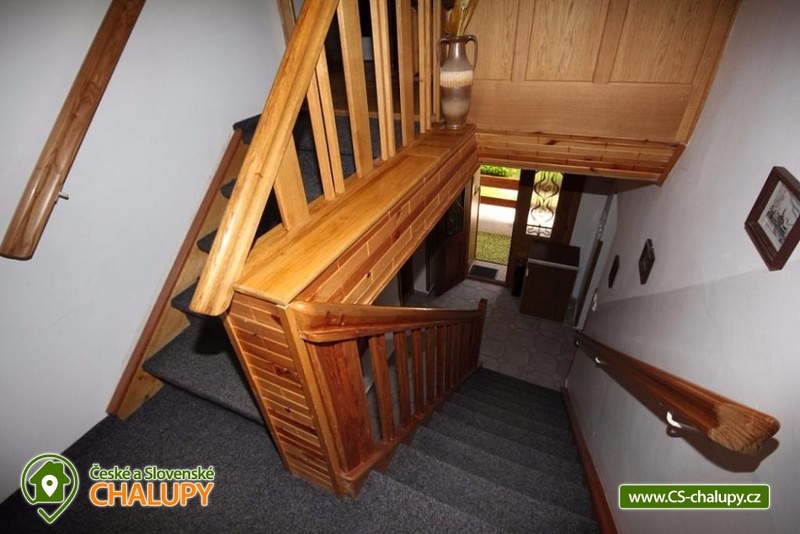 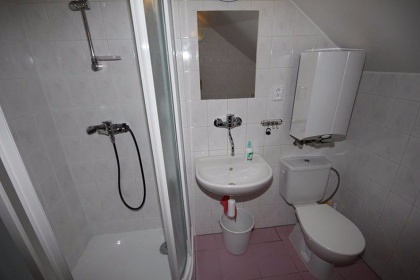 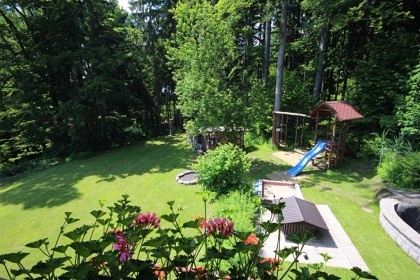 Accommodation cottage Jizerky, district Jablonec nad Nisou. 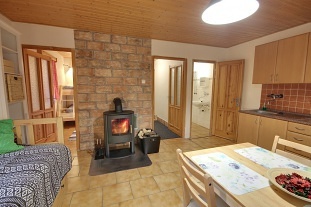 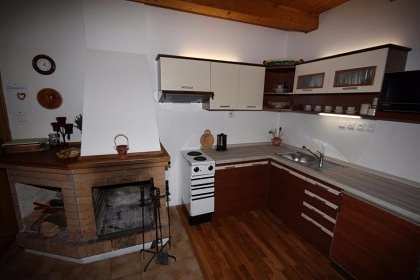 On the ground floor of our cottage there is a common room with a fireplace, equipped kitchen corner and possibility of distribution of 2 beds (gates as 2 extra beds), wc and shower accessible from the corridor. 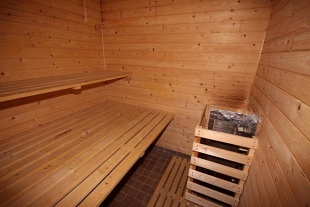 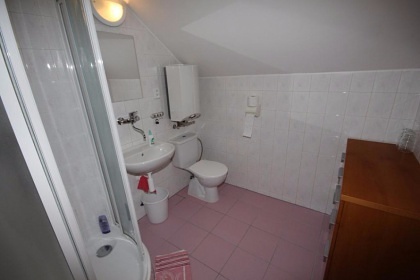 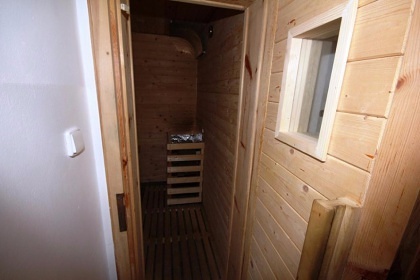 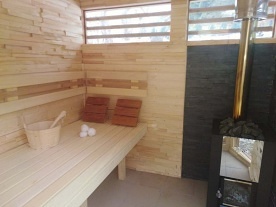 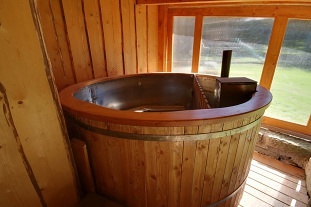 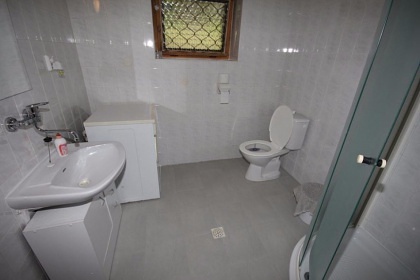 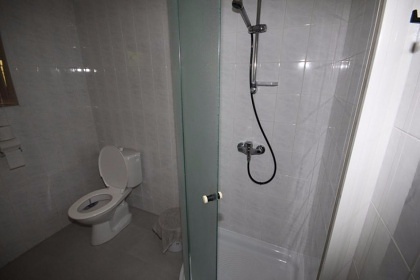 On the ground floor there is a sauna and a separate bedroom with three beds (double bed and single bed), kitchenette and bathroom (toilet, shower, underfloor heating, washing machine). 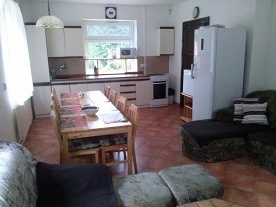 On the upper floor there is a kitchen with sitting area, bathroom and 2 bedrooms: 3-bed (double bed and single bed) and 4-bed (double bed and 2 single beds). 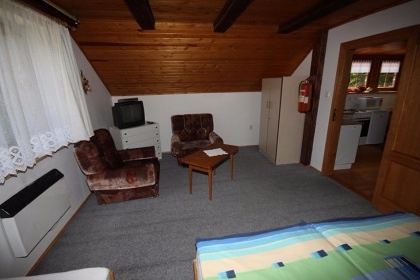 Heating with fireplace on wood and electric heaters. 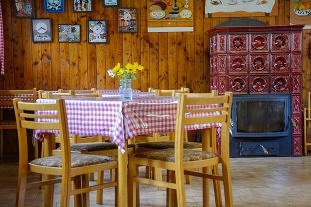 At the cottage ponds, covered outdoor terrace, fireplace, grill. 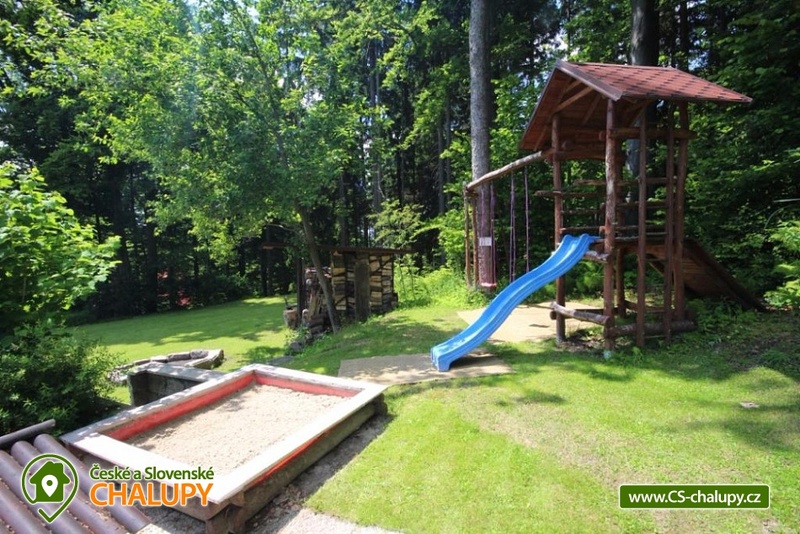 For children swing, sandpit and slide. Parking all year round by the cottage. 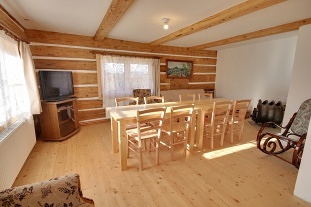 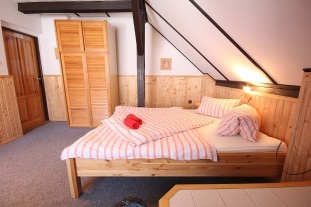 The cottage is its ideal starting point for hiking, cycling, cross-country skiing and downhill skiing. 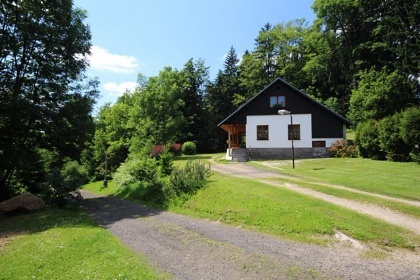 Nearby are the famous Jizerská magistrála, offering 180 km of cross-country skiing tracks and hiking and cycling in summer. The area is minizoo, riding school with the possibility of horseback riding, ski rental, bicycle and scooter and golf course. 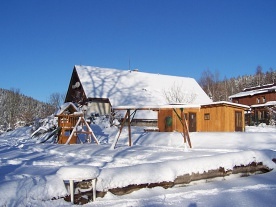 Other ski resorts in the area are Bedřichov, Josefův Důl and Tanvaldský špičák. 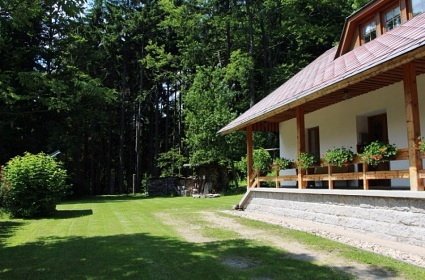 Another very popular attraction is the Bobová dráha in Janov nad Nisou, with a length of 900 m, 22 bends and a rare carousel. 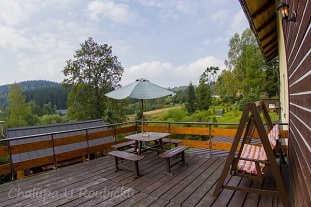 All year round, the most popular tourist destinations are the Jizerskohorské lookout tower (the nearest Slovanka 700 m, the Královka and Bramberk), dams, thousands of beautiful views, the secrets of fenced memorials, rocky prospects, waterfalls etc., both cross-country skiing and horseback riding. 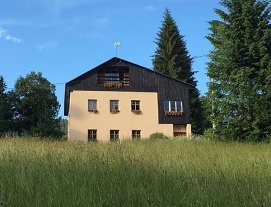 by bike or on foot. 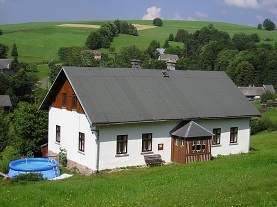 Swimming is possible in some of the Jizerskohorské dams, as well as swimming pool in Lučany nad Nisou, Dolina in Bedřichov or Josefův Důl and indoor swimming pool in Jablonec nad Nisou or Liberec. 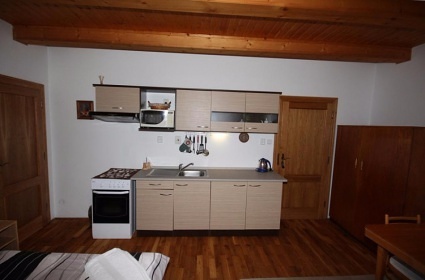 Additional information Patra (pokoje) lze pronajímat i samostatně dle dohody.